Unbeatable Price & Unforgettable Trip by Local Tour Company! Your English guide will meet you from your cruise port in Shanghai at 8am and drive to Xitang Water Town, about 90km away from Shanghai. The town is densely distributed with rivers and has a very quiet natural environment. 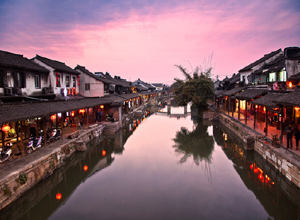 Inside the town, there are many well-preserved architectural groups constructed during the Ming and Qing dynasties. Be transferred back to your cruise port after the tour before 5pm.